The oceanographic vessel Victor Angelescu will be delivered in October to the argentinian fishing research and developement institute (Inidep). 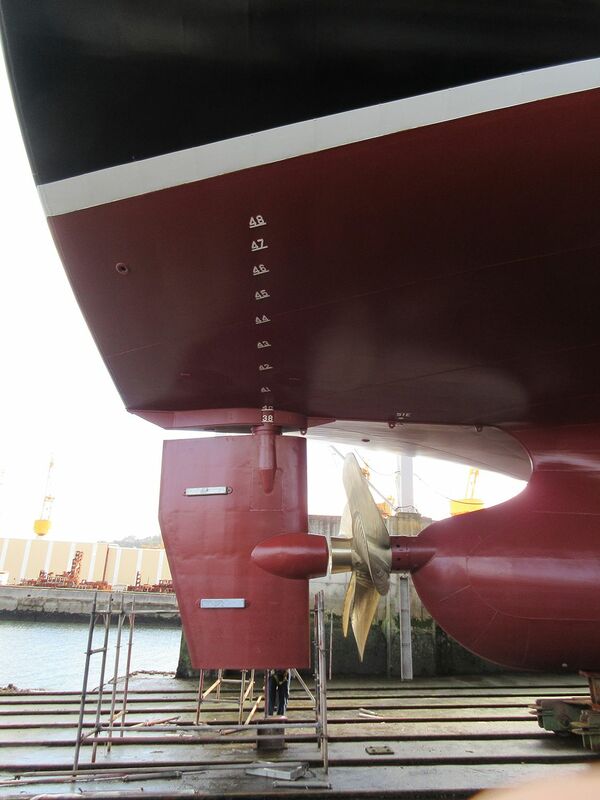 Due to the specific requirements of oceanographic vessels, propellers must comply with extremely severe noise restrictions. ICES 209 guidelines for acceptable upper thresholds of radiated noise for newly built fishery survey vessels, were to be regarded in the design; apart from avoiding cavitation, special anti-singing edge geometry was used in order to avoid the apparition of singing phenomena at the blade. Among other effects, low noise design gives also a lower vibration level and a better comfort for the crew. You can find more details of this VICUSdt design on our Facebook profile, on Linked-in site or in the related Case Study.